As food truck owners, how do we pay ourselves? As a food truck owner, you’re excited about entrepreneurship … for many, it’s your first venture into running a business. You’re excited about what you’ll be serving, building your truck, purchasing supplies, hiring staff, developing your website, and social media presence. The list goes on and can get even longer with each passing day. You’ve done several events and paid your bills and your staff. Seems simple … and yet it is not. As food truck owners, how do we pay ourselves? Many gauge our success by what is remaining in the bank. Because the food truck business requires constant addition of more supplies, repair expenses, event fees, purchasing food, advertising and accounting expenses, staff payroll, and taxes, what remains in the bank may not be the best gauge of your profitability. Some owners actually forget to pay themselves. How could this happen? A food truck owner may not see themselves as an employee because they are the business owner. While true in one way, the more important ‘truth’ is that we’re contributing to the daily operations of the business as a working team member and as such, should be paid. Food truck owners need to be paid. Figuring out the profitability of an upcoming event, including food, supplies, overhead and total labor expenses, including you, is vital to running any business. What might happen if your labor contributions were not factored in to the total labor cost to handle the event? Excluding that expenditure could give a false sense of profitability and become the difference between a marginally profitable event and an event that is losing money. Knowing your true profitability is critical to determine if you would participate in this event again. And while you may consider paying yourself a high salary to operate your food truck business, yet wouldn’t that reduce the number of profitable events? A good rule of thumb is to pay yourself what you would pay someone to do your job, running your food truck operation. Moving forward, should you want to work less on the truck or invest in a second truck, you’ll need to hire a food truck manager to replace your position. Not only will this help give you a realistic understanding of which events are profitable, but also give you a clearer understanding of how your food truck could operate without you down the road. Food truck owners need to be paid. Would you expect any of your employees to work for free? Of course not! So why should you, the owner? Having even one team member not collecting a paycheck raises questions on the validity and operation of the food truck business. Should you decide to sell the business or need to apply for commercial loans, as example, the profitability of the company would not be an accurate representation of the business, thus excluding your business from future lending opportunities. Just like your employees, you as an owner have personal bills and expenses to manage. You should be able to count on a steady paycheck for your contributions to the team operation. 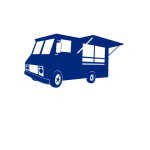 Many food truck owners elect to take distributions from the profits after all expenses have been paid, including all labor expenses, as their ‘paycheck.’ You are actually receiving compensation from two different roles you play in your business. The food truck business is a seasonal operation. Certain times of the year the demand and activity is greater than, as example, cooler times of the year. Financially, cash flow may be more challenging during those times. As an operating owner, you may elect to hold on to or set aside incoming revenue for when cash flow is tight, electing to cash them in until activity is greater. Either way, operating your business so you it can grow and expand, without the unplanned expense of paying for a team member who’s labor had been free, is the way to go.